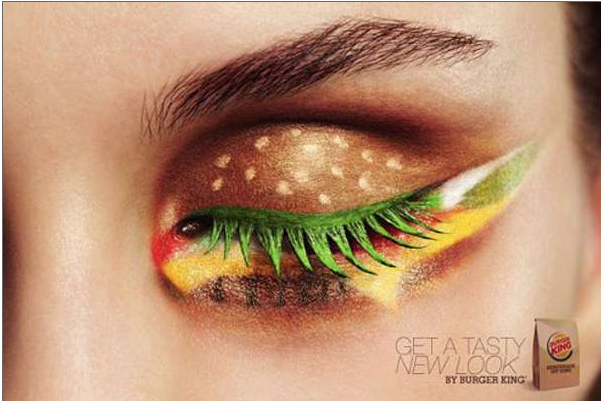 We thought the bacon sundae was weird, but in the Netherlands, there's hamburger eye shadow. Urban cleanup that earns farmer's market vouchers with a new "trash for food" exchange in Mexico City sounds like a win-win. A vertical urban farm in an old meatpacking plant that's also a food business incubator, The Plant in Chicago has lots of space and big plans. Another idea that we're excited about: Local Food Lab, a California based incubator and collaborative workspace for early stage sustainable food and farm startups. Farming indoors starts to sound like a pretty good idea with crazy weather events like the hailstorm that wiped out Champagne's southern Côte des Bar region. "The damage is estimated at 130% because at least 30% of the 2013 crop will also be affected." There's a lovely series from the site Wine Searcher called When We First Met with personal stories of wine and how people have interacted with it. The profile with English writer Matt Walls caught our eye: "Sometimes, particularly with pinot noir, the wine just goes into a bit of a sulk. Nobody knows why. If you open it when it’s in a mood, there’s nothing you can do. It won’t play. You just have to give up. That’s what we had to do with that bottle, and it’s the most expensive bottle of wine I ever bought." By helping to spread the message that farming can make for a fulfilling and meaningful life in the 21st century, the Greenhorns and NYFC are hoping to attract a few more new recruits: "It's one of those jobs that provides endless opportunity to create positive change while making a living. As farmers, we're tasked every day with environmental stewardship, sustainable business development, preserving culture, and providing nutrient rich food for our families, friends, and neighbors. Although it can be fraught with stress and exhaustion just like any job, it's an incredibly rewarding way of life," says 32-year-old Brad Halm of the Seattle Urban Farm Company in Washington State. Hands Off our Special Regions, says the European Commission to an American initiative calling for the unfettered use of what are currently protected food and drink monikers, such as Parmesan and port. How 'bout we put some creativity into creating new names. One of our favorites: Quady Winery's Starboard, a port-style wine made in California. Some feel that an old name is what's holding back a good fish. In the U.K., Sainsbury is trying to boost pollack's popularity through a new name artsy packaging. The best packaging innovation might be edible. "WikiCells is rooted in the way nature has always delivered nutrients: in a digestible skin."